In this week’s Sunday Times, Eithne Shortall wrote an interesting article on the troubles facing domestic Irish film. 2013 has seen the release of some worthy domestic films yet the regular cinema didn’t even consider them why? I fully agree with Eithne that marketing of these films should improve, but it’s getting even more difficult to reach the 15-34 year old. This might explain why Pilgrim Hill was an easier pitch, even though it had a smaller audience. Another reason might be that going to the cinema has become an expensive outing and the younger audience will only go for the all action movie with big stars, something Irish film will never be. My own interpretation is that in recent year’s too many indigenous film simply didn’t missed all markets, there were several years of films about the Northern Ireland crisis in an attempt to copy the success of In The Name of The Father, then we had a series of Dublin gangster movies, most of which just not good enough and cinemagoers became very negative about Irish film. As a result even with the release of good quality films like Jump and Good Vibrations it’s proving difficult to get audiences in. Marketing of any movie is very expensive and most Irish releases just don’t have the money to compete with the major studio releases. The Irish Film Board and the Arts Council has pumped a lot of money into The Lighthouse cinema, which is doing a reasonable job putting out Irish films under the Element umbrella, perhaps it could make more screen time maybe for one days a week where Irish films could get much longer runs and likewise at the IFI. TV advertising is another area where it should be possible to strike a deal with RTE/TV3 to provide intensive airtime for trailers for Irish films in return for deal on TV rights at a later date. Like Eithne I firmly believe that films like Jump (which I enjoyed) just get swamped with all the other distractions and have ended its run without most getting to hear about it. What is certain is there needs to be a change in strategy and quickly. Ireland’s domestic cinema is in serious trouble and it has little to do with the calibre of films. The young cinema-goer hadn’t declared The Hardy Bucks “that boring Irish film, “that poorly reviewed film” or even “that Irish shite film”. Nationality was reason enough to discard it. Conversation closed. The Hardy Bucks wasn’t bad, and it was aimed at teenagers. As it transpires, I should have saved my indignation for subsequent Irish releases. The road trip comedy came in third in the Irish Box office on it opening week and went on to take €400,000. The good news however stops there. Since then 2013 has witnessed a painful nosedive for cinematic patriotism. You may have heard that six Irish film were being release in as many weeks, but I doubt many people noticed the movies come and go. Earthbound was first up and disappeared almost as quickly with just €6,000 to show for their efforts. The Frames: In the Deep Shade, a music documentary came and went without making a dent in the top 20: and Good Vibrations, a lauded film about Northern Irish punk, took €71,588 before failing out of the charts. King of the Travellers took €27,439 in five weeks and the exited the top 20. The latest casualty and perhaps the cruellest, is Kieron J Walsh’s Jump – a film unashamedly aimed at young people who constitutes the bulk of Ireland’s cinema audience. It managed to scrape into the charts at No 20 on its opening on its opening weekend with takings of €3,812. Iron Man 3 opened at the same time, gobbling up a huge percentage of box offices takings. The following week Jump had vanished. Ireland’s domestic cinema is in serious trouble and it has little to do with the calibre of films. If quality mattered, then Good Vibrations should have been raking in millions. This column has previously addressed how English audiences don’t go to Irish films, but the situation is better at home. A possible problem is that Irish audiences have negative connotations towards their own cinema. They expect a depressing scenario unfolding in the depths of rainy Ireland, with a production budget that can barely stretch to a second camera. Yet if this is the case, how do we explain the modest success of Pilgrim Hill? A debut film about an isolated farmer, it is effectively the actualisation of that stereotype. Made for just €4,500 it is still trucking along after four weeks on release. Last weekend it was No 14 in the charts and has made its investment 15-fold. A great return as that sounds €69,333 isn’t exactly the light at the end of the tunnel. The relatively small audience for Pilgrim Hill is older. However the core cinemagoer – the 15-34 year olds – continues to turn its back on native releases. The Guard was the last domestic success and Calvary, the follow-up from director John Michael McDonald and actor Brendan Gleeson is likely to be the next. 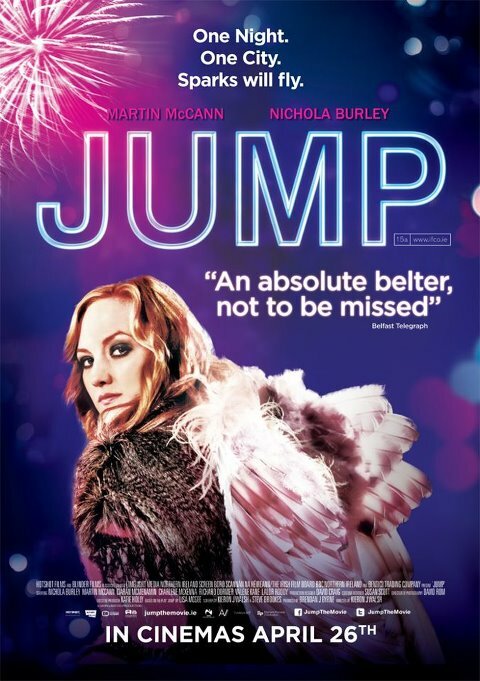 Theirs is not much that can be done about budgetary constraints and the resultant lack of big name actors, but the industry and the Irish Film Board do need to become more imaginative with marketing, Jump was aimed at younger folk, but I would doubt many of them even heard of it. Given that the majority of state backed projects never make it to general release, those that do never get seen. ‹ Star Wars: Episode VII a huge coup for the UK’s film industry. No-one cares about our films because they try to compete with Hollywood. There will always be similar but better movies made abroad. There’s nothing in Irish cinema that we haven’t seen elsewhere. Jump and Good Vibrations should have got made a decade earlier to really impress.